Fishing. Entertaining. Watersports. All can be accommodated with a versatile track system. 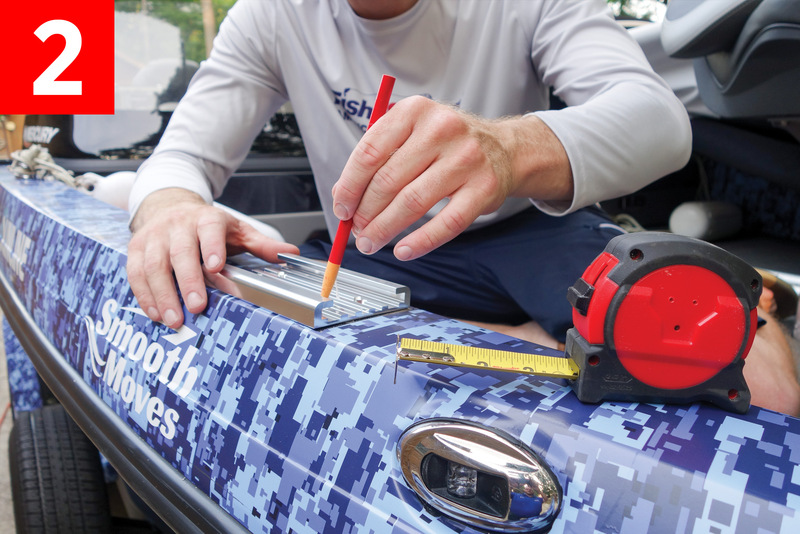 As a full-time professional angler, I don’t always fish for the same species, so I need the versatility to adapt my boat quickly to fish for walleye, salmon or panfish. 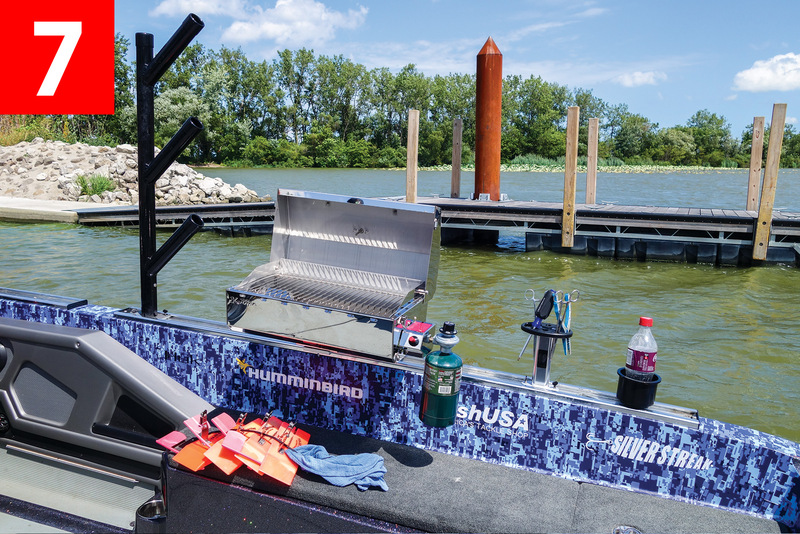 I needed a heavy-duty system that would allow me to quickly add or subtract rod holders and downriggers, or remove them altogether for family days — without needing tools. Bert’s Custom Tackle (bertscustomtackle.com) developed a patented track system that allows boaters to interchange different styles of rod holders and accessories ranging from downriggers to tool holders and gas grills. When not in use, the accessories slide out and an insert step plate can slide in place for a sleek and functional look. A small screw holds on an end plate to keep anything from accidently falling out, and it provides a finished look. One added benefit to having an extensive track system is that it protects my boat’s fiberglass when people board or when I slide heavy coolers across the gunwale. And best of all, anyone can install them with few tools in six simple steps. The tracks are available in lengths that vary from six inches to 72 inches. 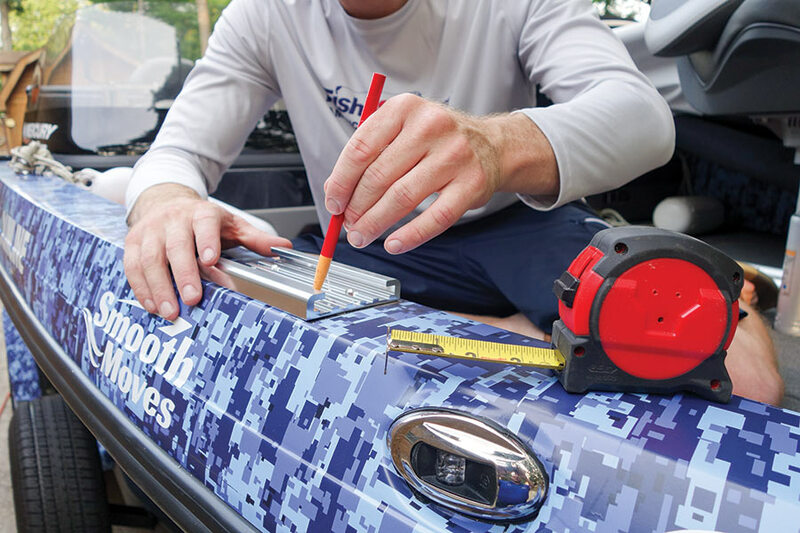 A flat surface that’s at least three and a half inches wide, such as a gunwale or transom, works best, but a creative mind can greatly expand the mounting options. The selected area needs to have four inches of extra room at each end, in order to slide larger accessory bases in and out of the track system. 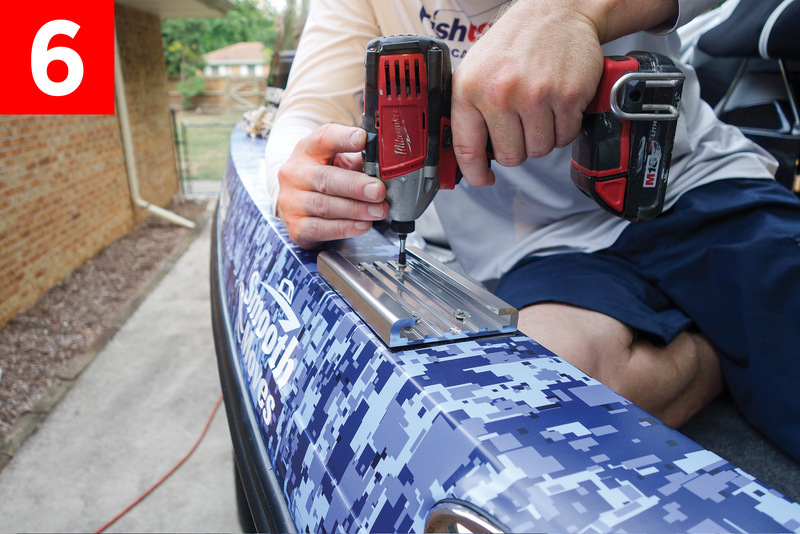 If any gaps of more than about one-half of an inch are present from the bottom of the track to the mounting surface, consider cutting a piece of starboard to act as a shim — to make for an easier install and to ensure items inserted into the track slide in and out easily. Marking the holes is a simple step but one that shouldn’t be rushed. Lay the track onto the mounting surface and make sure the track is perfectly straight. 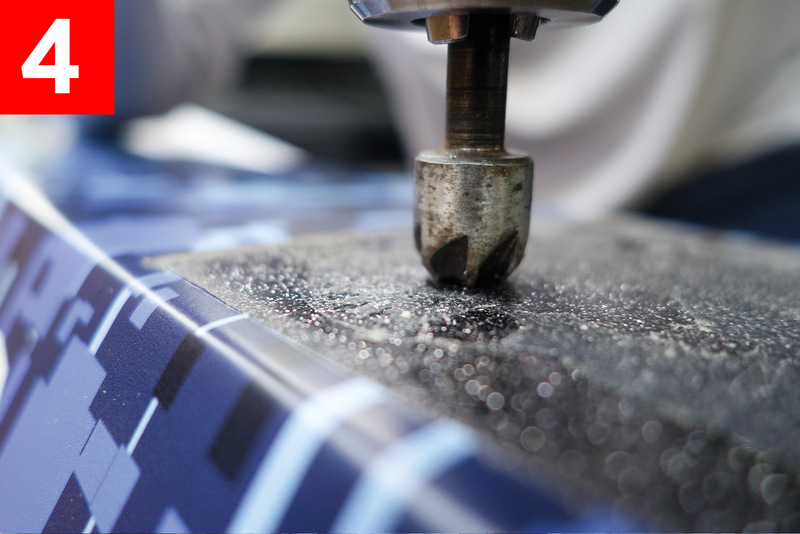 A second person makes this process much easier, but taping down the track is also an option. Make sure to lift up and move the track piece as you align it, as it can mar the boat’s finish if you slide it. This step will vary depending on the hull material. For fiberglass boats, using a countersunk stainless #14 screw is the best way to attach the track to its pre-drilled holes. Make sure to pre-drill an appropriately sized index hole for whatever size screws you choose to use. In aluminum construction, it’s best to check for access directly under where the track will be placed, to see if bolts and a locking nut can be used in place of a screw. 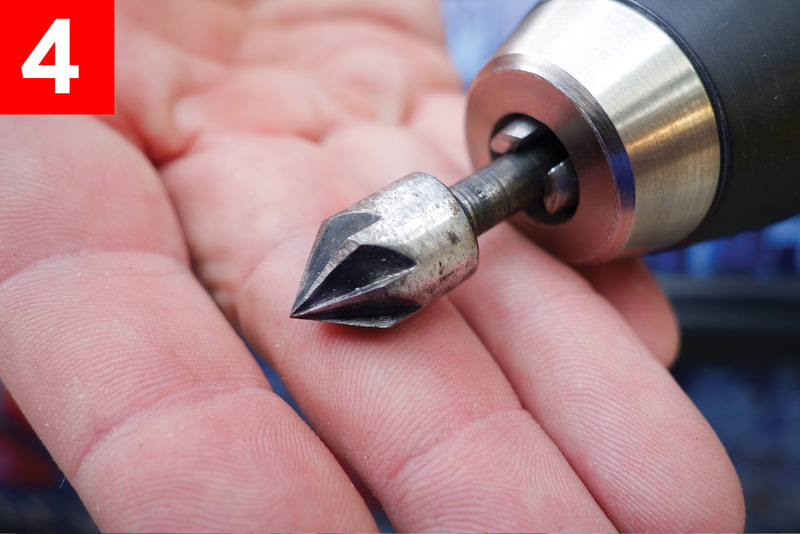 If bolts can be used, make sure to drill a hole slightly larger than one-quarter of an inch, to allow a 1/4-20 (1/4-inch diameter, 20-thread-count-per-inch) bolt to easily pass through. The manufacturer includes 2-inch-long, 1/4-20 stainless bolts and locking nuts. 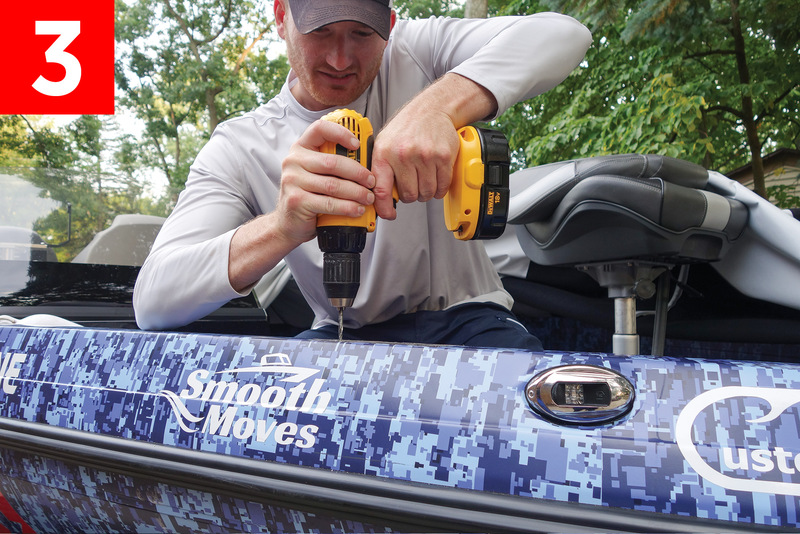 On fiberglass boats, use a countersinking bit to just slightly round out the top of the already drilled screw hole. This chamfer will help keep spider cracking from occurring as the track is secured and over time. Before placing the track back on the mounting spot, clear away any dust or debris and add an adhesive to the mounting area. 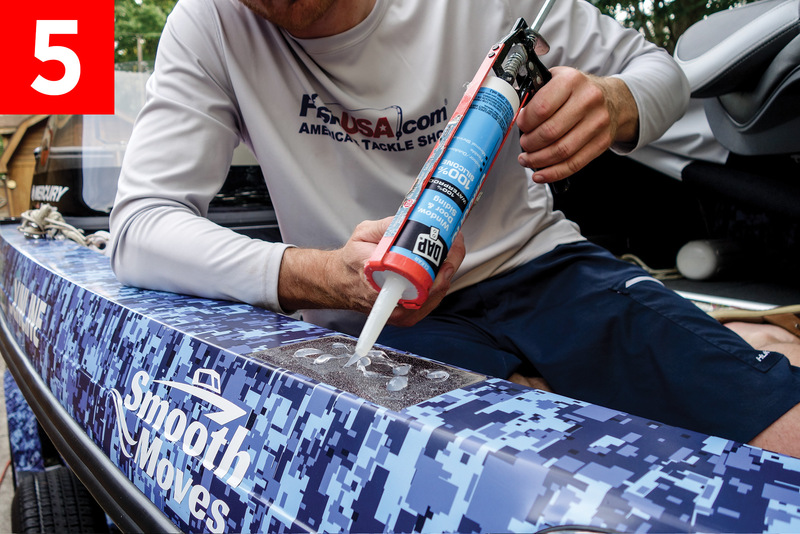 In most cases, a marine-grade silicone in the screw holes and a little more along the bottom of the track will help secure it and keep water out of the gunwales. In situations where added torque or heavy objects may be placed in the track system, a small amount of 3M 5200 will help to ensure a tight bond. Make sure no adhesive can leak out and get into the threaded areas of the end-cap pieces. If this does occur, use a cotton swab immediately to clear out any adhesive from the threaded end piece. Start at the flattest end, attach the track with screws or bolts, and work your way down the track. Doing so will help to curve the track down any slight angles in the gunwale itself. After either the screws or bolts have been started into the holes, a cordless impact wrench is helpful for getting screws in without stripping the heads. 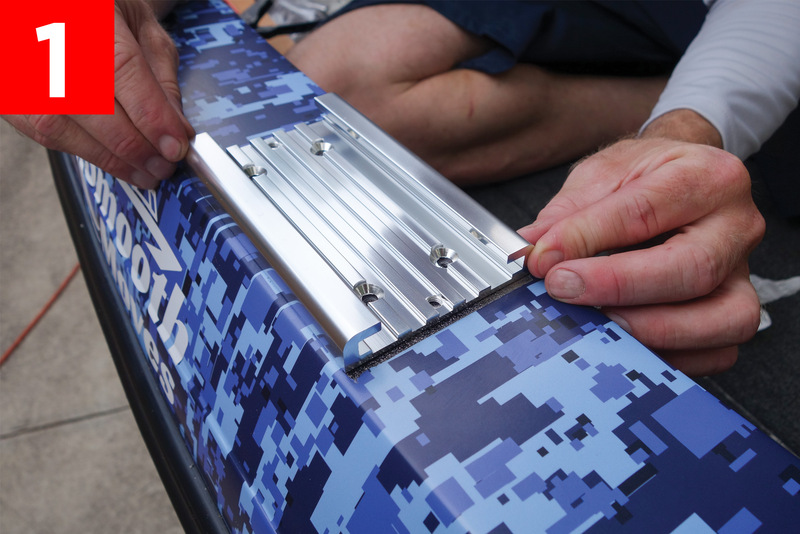 On an aluminum gunwale, attach the bolts with a screwdriver and socket or wrench, but not before putting a backing plate or heavy duty fender washers on the underside. A piece of narrow aluminum bar stock with a pre-drilled hole can be helpful when narrow access doesn’t allow a washer to fit.